I had mixed expectations walking into “The Great Gatsby,” largely because I saw snippets of the critics’ early and mixed reviews, and because it had been some time since I read the book as part of every high school’s limited survey of Great American classics. And, because of “Moulin Rouge.” I fully expected the movie to be “Moulin Rouge,” and, in many ways, it was, with its big colors, music, and a decadence that made you wish you were invited to the party. Of history in the making during our generation. With that view of Gatsby in mind, the first half hour or so takes us from Nick’s stint at the sanitarium, to his memories of moving into the cottage next to Gatsby’s mansion, reconnecting with his cousin, Daisy, and meeting her obnoxious, wealthy and bigoted husband, Tom. As Nick is uncomfortably exposed to Tom’s philandering, attends one of Gatsby’s legendary parties, and meets Gatsby for the first time, he embraces the hedonism of the day, in full, bass-bumping glory. I know Luhrmann tends to use period-crossing music in his films, but hearing Jay-Z in a period piece had the initial effect of taking me out of the movie before I was sucked back in by the 1920’s sugar rush on the screen. The parties are dazzling and whirling and excessive, and the costumes and sets are breathtaking. As Nick narrates, first orchestrating Gatsby’s and Daisy’s reunion, and becoming an observer to their ill-fated love, his words dance across the screen. This is where the film begins to settle and spends most of its time: building you up to the hope of what could be, and what should have been between Gatsby and Daisy. Along the way, we get glimpses of class and race, of how money buys access, and how many of us spend our lives trying to outrun who we are. 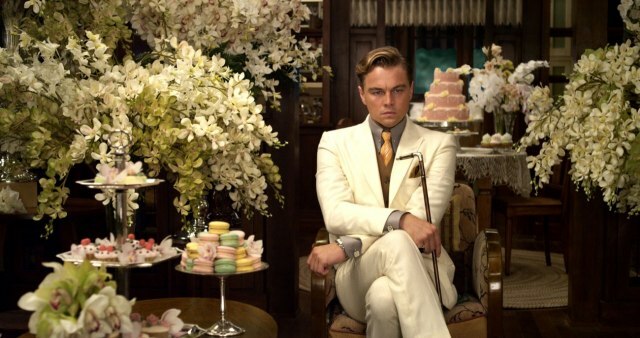 Gatsby’s true undoing, at least here, is his attempt to reintroduce himself to a world that will always reject him. I have few issues with the actors, though sometimes over-the-top (Tom), but I never quite felt the “it” between Gatsby and Daisy. 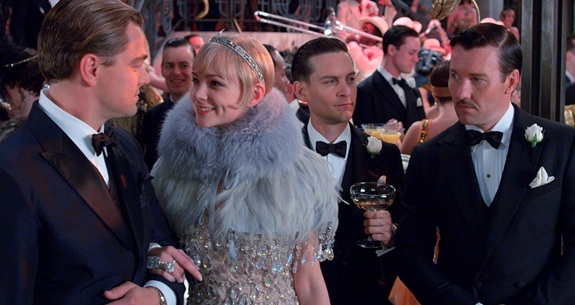 Carey Mulligan was annoyingly understated at first, but overall, her portrayal works as we understand Daisy to be the opposite of who Gatsby envisioned her to be. 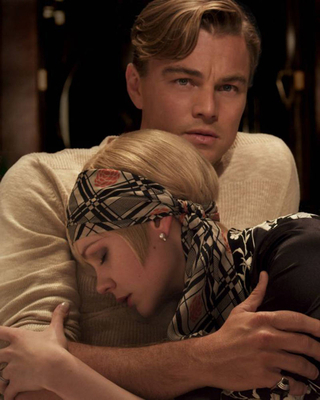 Leonardo DiCaprio did a great job at filling in some of the film’s gaps, and as the film progresses, you get a quiet sense that his love for Daisy is not, perhaps, rooted in passion, but in a disdain for himself. One of the best scenes in the movie is Gatsby’s and Tom’s confrontation at The Plaza Hotel. The circus is gone, and Daisy has a choice to make, and, this is where the film saves itself from overdosing on style and glitz. This scene sends us back to the original source material and its commentary about the characters and the period in which they lived. As we marched toward the tragic end for Jay Gatsby and Daisy’s indifference, I had the truest sense of what Gatsby searched for, and why he would never get it. At the end of the film, I understood Luhrmann’s adaptation and decision to score the film in the way he did. I remember reading Gatsby in high school, but not with enthusiasm (and I’m an avid reader). I read what I had to, got my grade, and moved on without further thought about the complexities and flaws of the writer and the story he told. I did not connect with the book as a high school student. In college, I remember revisiting the work, but with elevated discussions of class and race. But now, as one of millions of adults chasing dreams and endless goals, I understood the character’s drive and aspirations, its sad vulnerabilities, and how we all too often spin our wheels trying to make other people happy. That Jay-Z is part of the film highlights his own Gatsby-esque rise from rags to riches, and evolution into a businessman who’s now worlds away from the projects and drug-dealing (and “Big Pimpin”). See it. I started off with lowered expectations and ended on a positive note as I surveyed the cross-section of people who may be revisiting Gatsby’s story, experiencing it for the first time, or finally understanding what Fitzgerald had to say. This film is not for the purists. It was never meant to be. The Great Gatsby is far from perfect, but as you’ll see from the late, great Roger Ebert’s review of the 1974 version, perhaps the source material–or how we personally interpret it–is simply too big a classic to tackle. 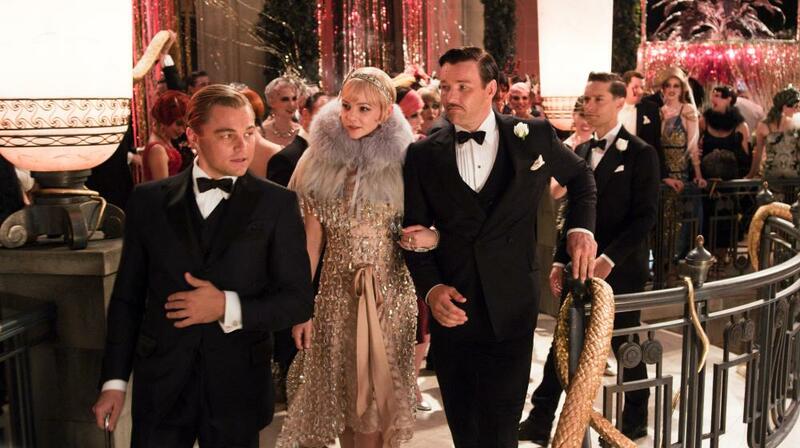 What did you think of The Great Gatsby? Bomb or genius? Style over substance? Is Fitzgerald rolling over in his grave? Great update for today’s audiences, or a sign that we’re losing our literary sensibilities? I agree! I have written a critical analysis entitled, ‘The Great Gatsby: Why the Harsh Criticism of Luhrmann’s Film is Undeserved’. Please have a read on the link below. Thanks.